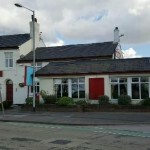 Brinsop in Westhoughton serves real ale. The pub is a member of Cask Marque. Just off from one of Boltons main roads sits the Beehive. A former hotel with an interesting past which is now a very vibrant pub restaurant and Wacky Warehouse with great character, friendly team and amazing food. Poacher in Blackrod has a beer garden. The pub serves food, it has an outside area. Poacher serves real ale. The pub is a member of Cask Marque. 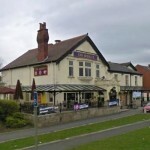 Bridge Inn in Horwich serves food. The pub has a function room that can be booked, it has free WiFi. Bridge Inn has a dart board. The pub has a pool table, it has a big screen. Bridge Inn shows football on TV. The pub has Sky Sports, it has terrestrial TV. Ridgway Arms With Bowling Green in Blackrod has a beer garden. The pub has a car park, it has disabled facilities. Ridgway Arms With Bowling Green is a family friendly pub. The pub serves food, it has an outside area. Ridgway Arms With Bowling Green has a real fire. The pub shows football on TV, it has Sky Sports. 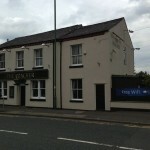 Ridgway Arms With Bowling Green has terrestrial TV. 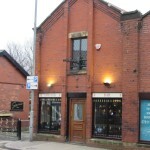 Sam's Bar in Horwich serves real ale.